This webinar was held on 2/25/2019. A recording of this webinar can be viewed online by visiting this page (https://www.gotostage.com/channel/5473899208930054918/recording/4c5803d0...). 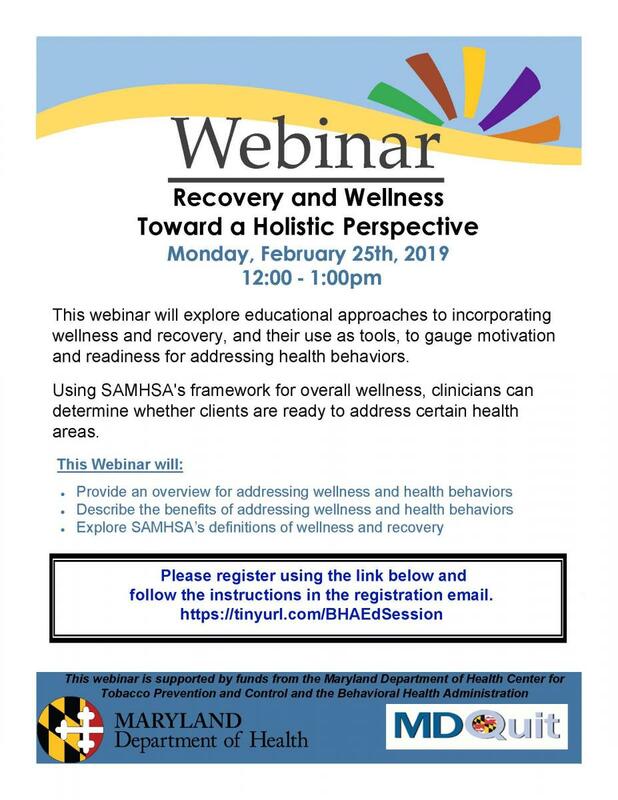 This webinar explores educational approaches to incorporating wellness and recovery, and their use as tools, to gauge the motivation and readiness for addressing health behaviors. Using SAMHSA’s framework for overall wellness, clinicians can determine whether clients are ready to address certain health areas.